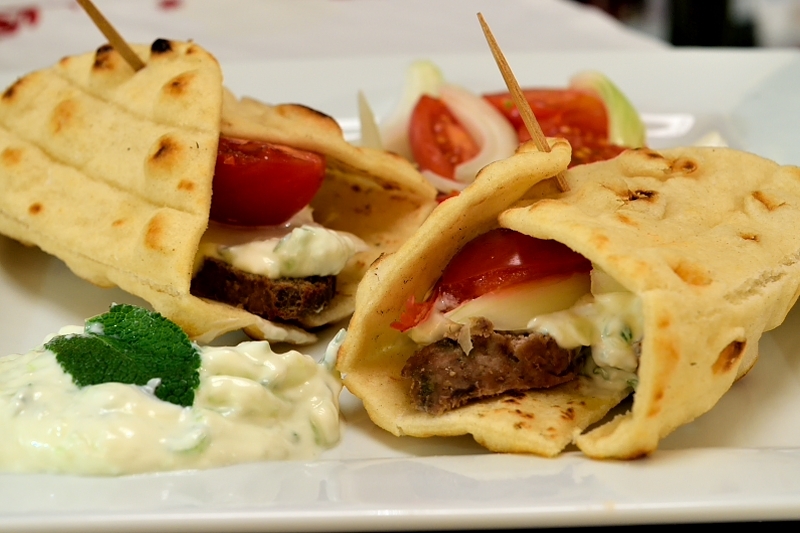 This is a hassle-free recipe for home-made Gyros (Doner kebab) with oriental spices. 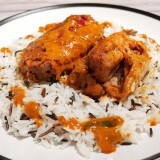 Just combine all the ingredients together, put it in the oven and enjoy a delicious meal. Doner kebab is a famous Turkish street food that has conquered Europe lately. It basically consists of cooking meat in a vertical rotisserie and is usually served in some kind of flatbread or pitta bread with salad. A great treat to your belly after a wild evening out. In the US it usually comes with the name “Gyros”, which is the Greek word for meat on a vertical spit. While the Greeks use pork (and sometimes chicken), the Turkish Doner is made with ground lamb. 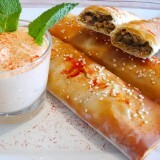 You may also find Doner with a mix of ground lamb and beef. While you would need a vertical rotisserie to make the real thing, I share with you a simple way to treat yourself with a take-out made at home. 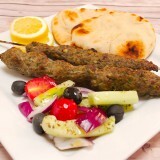 I follow the Turkish tradition and use ground lamb with all the essential herbs and spices. It’s quite easy to make and will look quite impressive for a dinner party. 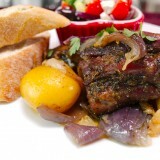 Serve it hot with some warm pitta bread, tzatziki and salad. Get the tzatziki recipe here. Yummy! 1 kg (2.2 lb) ground lamb. 4-5 tablespoons of dried oregano. Add all of the ingredients in a large bowl and knead well for 3-4 minutes. Cover with cling film and keep in the fridge for a couple of hours. Preheat the oven at 170 Celsius (340 F). Place a large piece of greaseproof paper on your working bench. 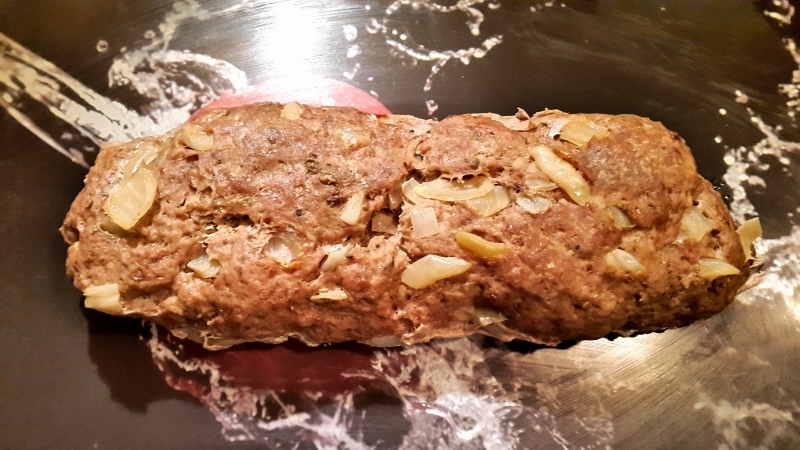 Use the meat mixture and create a long loaf. 1 kg of meat will give you probably two loafs. Try to make them relatively thin and long. Cover the loaf with the paper and use some aluminium foil to seal it. Place the loafs on a baking tray and add 3-4 cups of hot water. Cook for 2 hours while adding some hot water from time to time. Carefully open the foils and slice the loafs. 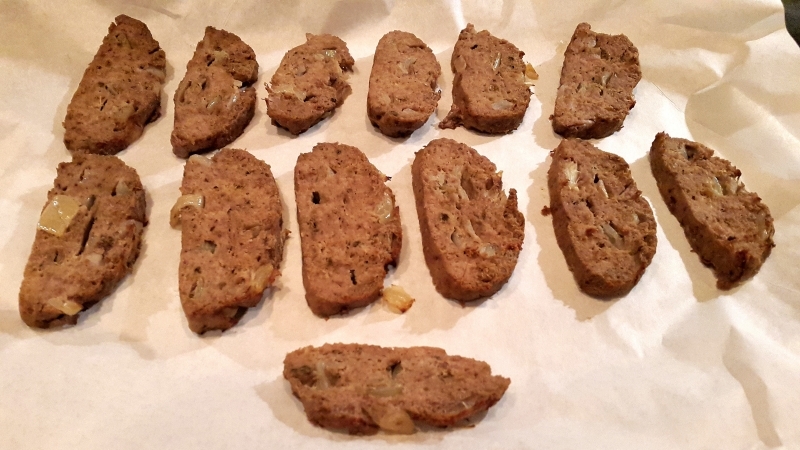 If they seem uncooked, place some slices on a greaseproof paper and cook them in the oven for ~ 15 minutes at 180 Celsius (360 F). However, that may make your doner a bit dry. 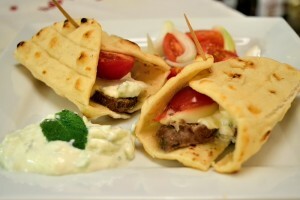 Serve them wrapped in warm pitta bread together with tzatziki, tomatoes and sliced onion.